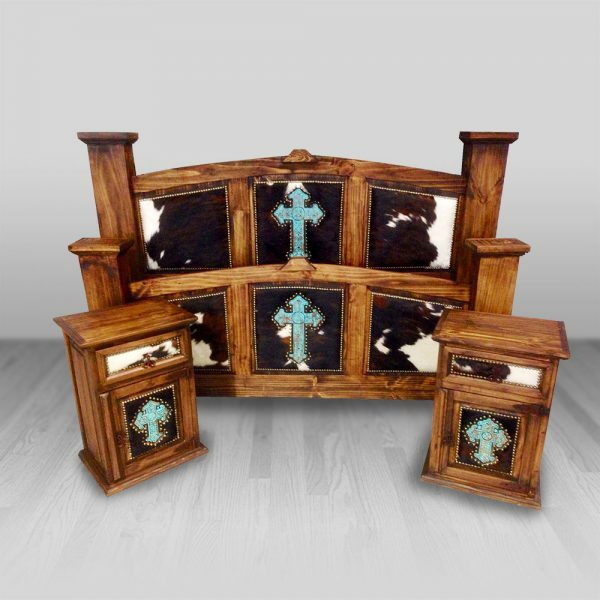 This gorgeous cross bed set is sure to be the center of attention in your bedroom. 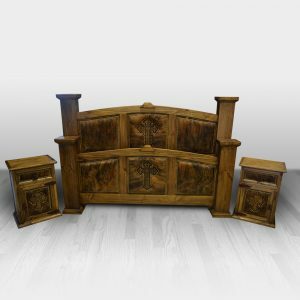 Featured with 3 unique, handcrafted pieces, the cross bed set is set to meet all of your basic sleeping and storage needs. This bed is handcrafted from pine in Mexico. 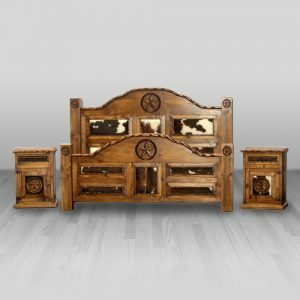 Cowhide Western Furniture does not manufacture bedroom, dining room, entertainment centers or any other pine furniture. We finish and upholster these pieces. The manufacturer of these rustic pieces do not offer any warranty on the construction. 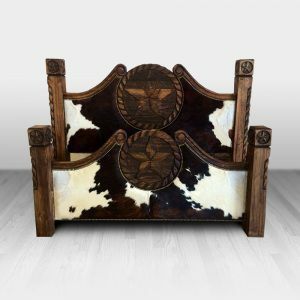 However, Cowhide Western Furniture does offer a limited warranty for rustic wooden furniture available for purchase in our product menu. See our website for details. Specs: All specs are approximate. 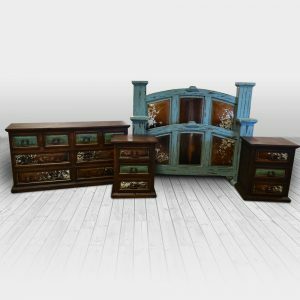 Dimensions may vary by an inch or two and this is standard within the industry of custom, handcrafted furniture.